Lila Conway is a certified Senior Yoga Teacher with Yoga Alliance Professionals and founder of Yoga Prema (www.yogaprema.org). She has been practicing yoga for 20 years, teaching full-time since 2001, received Advanced Level certification from Sivananda in 2004 and in 2007 was given the blessing to train yoga teachers as a principal teacher within the Sivananda Yoga Organisation. In the early days of Lila's yoga teaching journey she lived for six years in Yoga ashrams and centres in India and Canada. This time was a deep and full immersion into the yogic way of life, in both practice and study. Lila worked closely with her senior teachers in both assisting and teaching yoga students & teachers from across the world. Lila has trained extensively with Sivananda (Hatha, Raja, Karma, Jnana and Bhakti yoga), Krishnamacharya (Vedic Chanting/Sanskrit), Usha Devi (Iyengar) and Norman Blair (Yin Yoga). As a result of years of practice, study and embracing yoga as a way of life, Lila is inspired to share the wisdom and joy of yoga from the heart. Lila spends regular periods of time in India studying and deepening her own practice. Kirtan and Bhakti Yoga, the path of Love are a strong focus in LIlas personal practice and bring much joy and happiness in her heart!! Lila has a highly individual and sensitive approach which resonates deeply with her students. Based in the South West of England, Lila teaches weekly yoga classes, workshops, meditation & yogic study courses, international yoga retreats and yoga teacher training in India and Glastonbury, UK. Having completed two years of independent study and practice with Lila and Debbie at Yogaprema in Bristol. Kat went on to complete her 200 hours Yoga Teacher Training with Yogaprema in 2014 in Goa, India. Travelling around India in 2012, she found herself on top of a rooftop of a hostel practising yoga for the first time, overlooking the Ganges. Having been moved by the beauty of yoga and the Ganges, she has practised intensely since and has deepened her knowledge of yoga theory through self-study. After completing her 200 hours, Kat decided to begin teaching in Frome where she lives so she could offer others the experience of yoga. She has weekly classes in Bath and Frome. Kat teaches from the heart. Her focus within each class is on using breath awareness and alignment to ensure safe practice. She sees yoga as fundamental to her life; it is her passion and this shines through in her teaching. Atiya was drawn to yoga over ten years ago through books on self-enquiry and meditation. She started to regularly attend yoga classes, and felt that that there was something much bigger and deeper beyond the physical practice. Atiya previously worked as solicitor in London and as a primary school teacher in Bristol, during which time yoga had a profound effect on her life. Yoga kept her steady, grounded and positive during a major transitional period and she was curious to learn more. She completed the British Wheel of Yoga Foundation Course in Bristol (2011) and yoga teacher training at the Sivananda Ashram in Austria (2011), and has been teaching since. She is certified to Advanced Level (2014) and completed an intense personal practice course (Sadhana Intensive, 2016) at the Canada ashram. She teaches in Bristol and on retreats. Her aim is to share the teachings as best as she can – with love, warmth and a sense of fun! She is committed to her personal development as a teacher and student, as she continues with her own practice, study, regular immersion in ashrams and embedding yoga in everyday life. 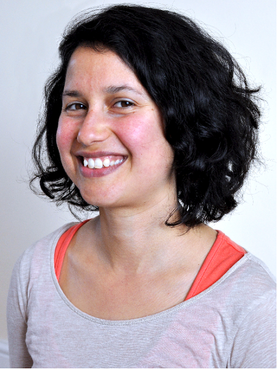 Alongside teaching yoga, Atiya is a registered and practising Nutritional Therapist. She uses her degree in Biochemistry, training in Naturopathic Nutrition and holistic approach to promote natural health and vitality. She is inspired to help people feel at their best. Alison was introduced to yoga at a young age and danced around her practice for many years, exploring different traditions. In 2005 she found her way to the Sivananda Ashram in Neyyar Dam, India, where she discovered a steady practice that allowed her flighty spirit to settle. In 2013 she completed her Yoga Teacher Training with Yoga Prema in Rishikesh, North India and became a member of Yoga Alliance. She now has a strong daily practice that she loves to share with others. She has led yoga classes at Yoga Varkala in India, at Universal Yoga in Camerton and now runs regular classes in and around Bristol. 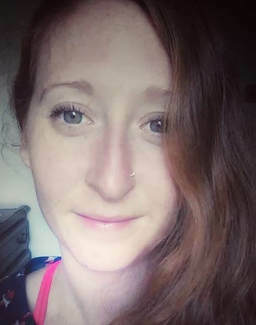 She is particularly interested in the connections between yoga practice and creativity and runs retreats that use personal writing and movement to ease into a space of open hearted joy. Alison believes that regular practice of yoga enables her to see life as the beautiful ever-evolving journey it truly is. She acquired the name Maha Shakti for her karma yoga work raising funds for the Sri Radhey Seva Trust, and her nickname makes her laugh with joy! She looks forward to seeing you on the mat. Suzanne has been practicing yoga in different parts of the world since her late teens. 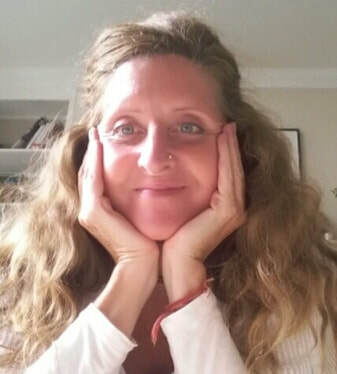 She completed her teacher training in the Sivananda lineage in 2015, it was then she was given the name Sundari and began holding classes in South Bristol. "Yoga for me is not about trying to change who we are but recognising that all we need for health and happiness comes from within. We can be liberated from negative energy by trusting in our own innate nature and yoga can help us tap into this." 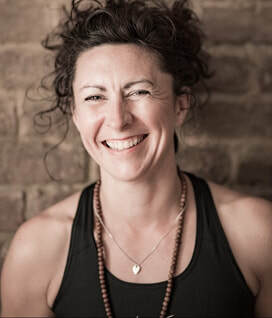 Suzanne's classes are joyful and welcome to all levels, they are the perfect mix of movement, pranayama, strength work and relaxation, leaving you feeling refreshed and energised. Chris has a great enthusiasm for Yoga in all of its threads and since completing his beginners course many years ago with Yoga Prema, he instantly fell in love with Yoga. Chris fully embraced the practice and was probably Yoga Premas most dedicated student! Chris naturally went on to take his Yoga Teacher Training 200 hours with Yoga Prema in 2017 and has since qualified as a teacher. Chris teaches with clarity and brings his own experience of how yoga changed his life into his classes. 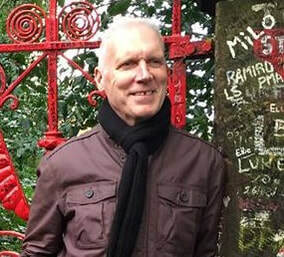 Chris is well known and loved in the Yoga Prema community. Practising yoga in various traditions for over 20 years, Debbie qualified as a yoga teacher at the International Sivananda Vedanta Yoga Centre in Himalaya, India in 2009. Since her return, she became a teacher with Yogaprema. She also established a Health at Work yoga programme for Bristol City Council leading classes for employees and has been a regular teacher at Universal Yoga, the affiliated Sivananda centre in the UK. Debbie completed Level 1&2 ‘Radiant Child’ teacher training and has led yoga workshops in schools. She undertook further training at Yoga Studies with Paul Harvey completing the CPD programme 'Adjusting for asana' . In January 2012, Debbie completed the Advanced Teacher Training at the Bahamas Sivananda Ashram. ( 500 RYT). Debbie’s classes and workshops for beginner and intermediate students are in the Hatha Yoga (Sivananda) tradition, and are designed to find the balance between tranquility and energy . Her aim is to empower participants, challenging them to extend themselves on all levels, allowing a deeper connection to the transformative power of Yoga through pranayama, asana practice and meditation. Through gentle observation and sensitive facilitation, she encourages the development of a healthier outlook and peace of mind. Debbie’s previous career as a professional dancer and dance teacher inspired her passion for Yoga from a range of traditions, leading her to develop an interest in the connection between movement, breath and spirituality.